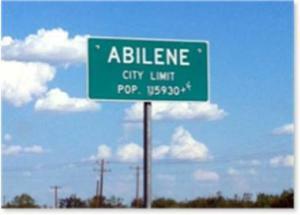 The term Abilene Paradox was introduced by management expert Jerry B. Harvey in his article The Abilene Paradox: The Management of Agreement. Here’s the story Harvey tells in his article to illustrate this phenomenon. The drive is hot, dusty, and long. The food at the restaurant is as bad as the drive. They arrive back home four hours later, exhausted and frustrated. One of them dishonestly says, “It was a great trip, wasn’t it?” The mother says that, actually, she would have preferred to stay home, but went along since the other three were so enthusiastic. The son-in-law says, “I didn’t want to go but I thought everyone else wanted to.” The daughter confesses, “I just went along to keep everybody happy.” The father, who initiated the trip, then admits that he only suggested it because he thought the others might be bored. The group is perplexed that they took a trip which none of them wanted. How did that happen? We were on our way to “Abilene.” I’m not sure who initially suggested the outing or why (perhaps one of us noticed that famous people seem to do it often so it must be fun), but after we honestly discussed the trip it was aborted. Steven Wolff, with GEI Partners, says, “To harvest the collective wisdom of a group, you need two things: mindful presence and a sense of safety.” He explains that mindful presence is “being aware of what’s going on and inquiring into it.” A sense of safety ensures that if I express my candid thoughts, I won’t be sanctioned. If your group is unfamiliar with the concept and you sense that everyone’s “getting in the car to go to Abilene,” speak up and voice your concern. Don’t hesitate to rock the boat. What? – A group of people may collectively decide on a course of action that is counter to the preferences of many of the individuals in the group. So what? – This group dysfunctionality is frustrating, counterproductive, and a waste of time and resources. It can easily be avoided. Now what? – As an individual, have the emotional fortitude to speak up when you sense that you and others are falling prey to this syndrome. Discuss this principle among members of groups that you are involved in: family, clubs, associations. Leaders – Discuss this principle with your team; adopt “rules of engagement” that will eliminate the Abilene Paradox.